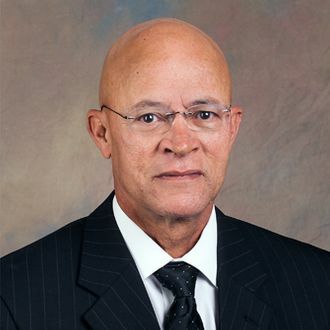 The Board of Curators for the University of Missouri named law professor Michael A. Middleton as the school’s new interim president Thursday afternoon, the St. Louis Post-Dispatch reports. Middleton, 68, spoke at a news conference in the early afternoon, saying his first actions would be to address the list of demands from black students regarding racism on campus. “The time has come for us to acknowledge and address our daunting challenges and return to our relentless adherence to the University of Missouri’s mission to discover, disseminate, preserve, and apply knowledge,” Middleton said at the conference. We are excited for the new leadership under Interim President Middleton! The 68-year-old is currently a deputy chancellor emeritus and professor emeritus of law at Mizzou, where he earned both his bachelor’s degree and subsequent law degree in the early ‘70s. During his undergraduate career, Middleton was a founding member of the Legion of Black Collegians — the group at the center of the past months’ protests, the Post-Dispatch reports. A member of the Black Collegians was confronted by a person yelling a racial slur in early October, one of several incidents that ultimately led to a resounding call to address racism at Mizzou — and the successful demand for the resignation of university president Timothy M. Wolfe. Students are following suit across the country. At Yale, students have been demanding administrators respond to recent emails about offensive Halloween costumes and allegations of a Greek “white girls only” party. On Monday, more than 1,000 people participated in a march for racial justice. Students at Ithaca College held a “solidarity walkout” on Wednesday afternoon and demanded their president, Tom Rochon, also be removed. The organization People of Color at Ithaca College (POC at IC) organized the event, saying they were taking a stand “for all the injustices students of color face” across the nation. We hope you all are sharing and spreading the walk out on Wednesday to everyone you know! There is power in numbers. Continue to share what happened today on all platforms - FB, here, and beyond technology; in your classrooms, in your dorms, everywhere. And students at more than 20 colleges across the country are planning events to show solidarity with Mizzou, including Harvard, Columbia, Syracuse, and Loyola University, according to CBS New York. At Smith College in Massachusetts, students have organized a walkout, and alumni at Georgia Tech have reached out to the university president to ask that he stay committed to improving race relations.